University of Detroit, B.S., 1969. Admitted to practice law in the State of Michigan, all U.S. District Courts in Michigan and the United States Court of Appeals for the Sixth Circuit. Vincent C. Rabaut, Jr. is an experienced litigation and trial attorney specializing in the defense of professional negligence claims involving attorneys, civil engineers, architects, surveyors and appraisers, and insurance agencies and agents. Mr. Rabaut also regularly defends corporations, business owners, insurers and individuals in complex litigation, construction liability and indemnity, product liability, fires and explosions, trucking and transportation litigation, commercial disputes, premises liability, first party, third party and uninsured/underinsured auto actions, insurance coverage disputes, environmental contamination claims/toxic torts as well as other general liability claims. 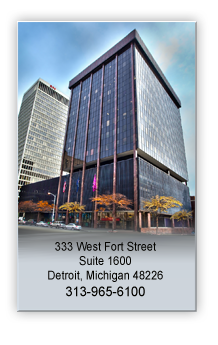 Mr. Rabaut is a member of the American Bar Association, State Bar of Michigan, the Association of Defense Trial Counsel and the Defense Research Institute. 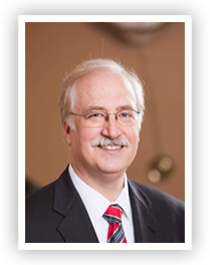 He also serves as an evaluator for the Wayne County Case Evaluation Tribunal. Mr. Rabaut has been peer review rated AV (“Preeminent”) by Martindale-Hubbell for twenty years (1989-2009) and the Firm is proud to announce that Mr. Rabaut was recently recognized as a “TopLawyer” in the fields of Insurance and Contract Litigation by dbusiness Magazine and is a Michigan “Super Lawyer”.